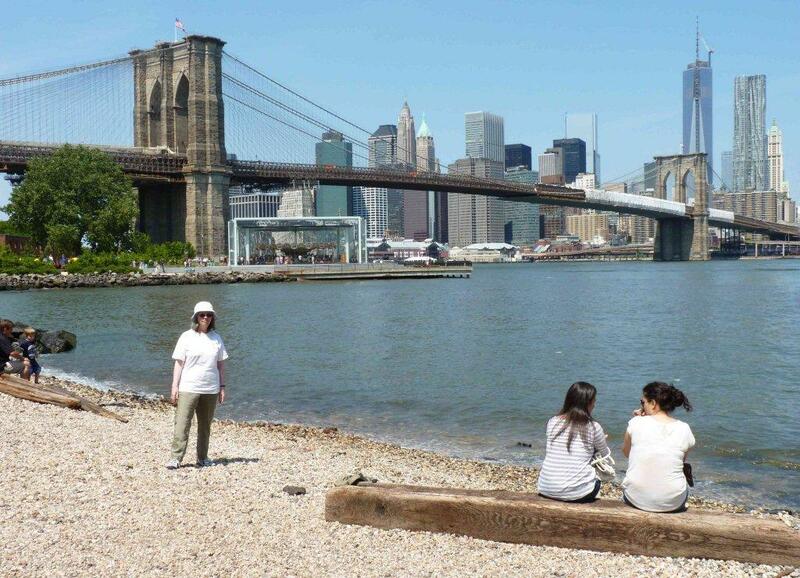 Since visiting New York City about eight years ago (see my previous post) I’ve been hankering to return. Well, we’ve just got back from a lovely holiday there. I must say this holiday didn’t exactly get off to a promising start. We arrived at JFK airport in heavy rain and gales, due to a rather nasty piece of work called Hurricane Andrea. However, things brightened up after that and beautiful sunshine graced most of the holiday. My reading material on the plane was a moving memoir called ‘The Watchmaker’s Daughter’ by Sonia Taitz, a coming-of-age memoir by the daughter of Holocaust survivors. This kept me engrossed enough to keep forgetting about the sometimes bumpy journey (I find flying in stormy weather scary). The highlight of the holiday was meeting Sonia and hearing her fascinating talk at the New York Public Library. We also met other lovely people at this talk. A kind woman called Jeanne Barnes who plays the grumpy grandma in the film ‘Harry and Grandma’ (see trailer) bought me a library bag. New York Public Library is an amazing building (can’t wait to watch ‘The Day After Tomorrow’ again). 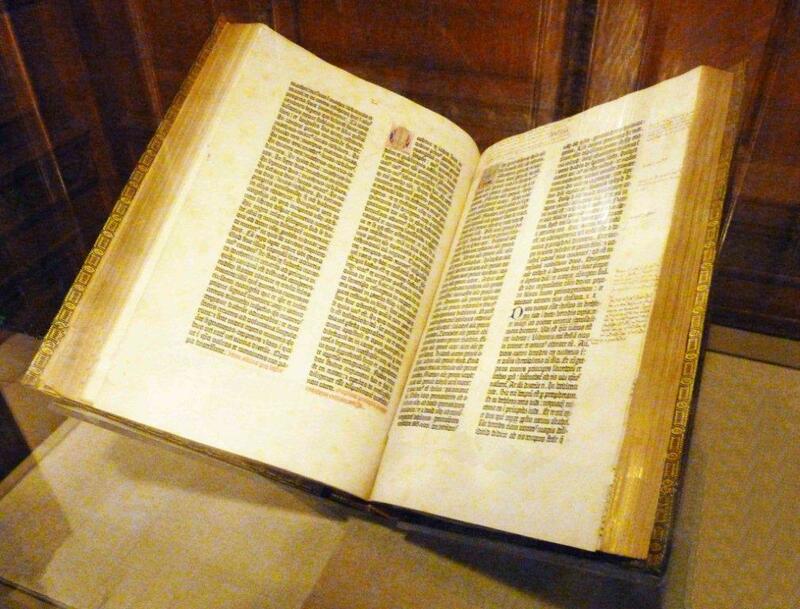 It houses the Gutenberg Bible, the first printed book. We did the usual tourist things and enjoyed Top of the Rock, Central Park, Brooklyn Bridge, Coney Island, the Highline, and so on. 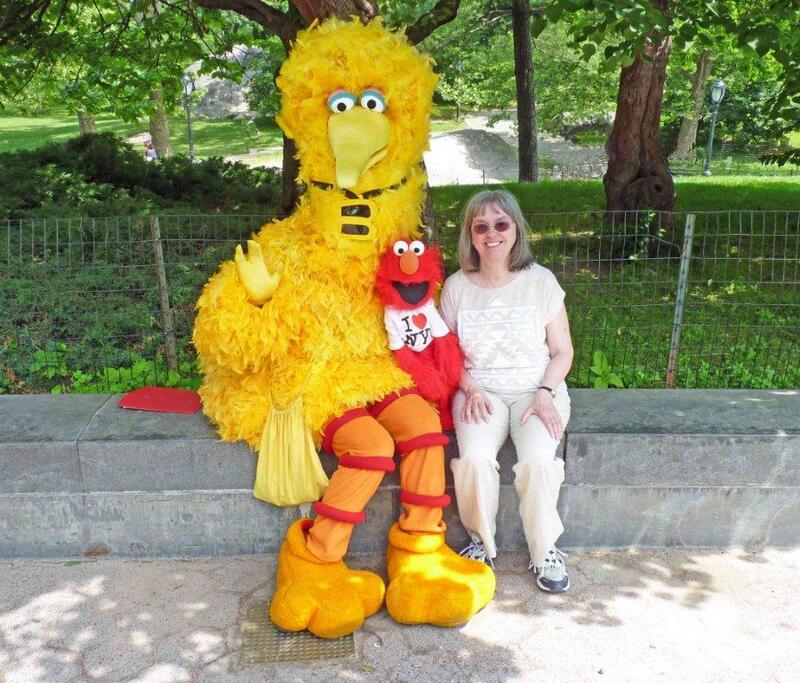 New York City is a vibrant, whacky, adorable place. I love the diversity. Although there is breathtaking scenery, it’s much more than that; it’s teeming with interesting, friendly people. 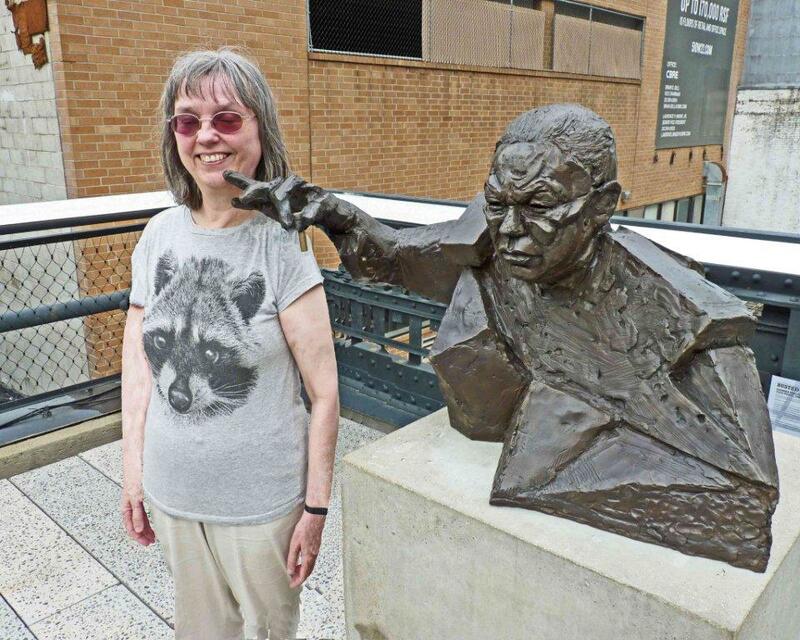 Oh yes, and there was a friendly statue and a friendly duck, too. 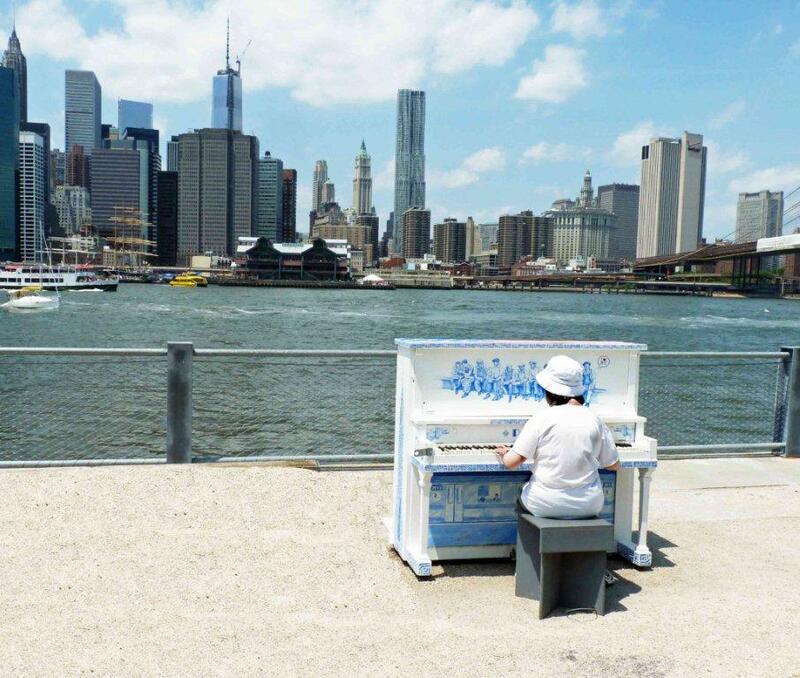 And finally… Below is a picture of me in Brooklyn Bridge Park at the side of the East River, playing a piano and singing. Erm… why has everyone disappeared? This entry was posted in Travels and tagged Brooklyn, Guttenberg Bible, holiday, Manhattan, New York City, New York Public Library, Sonia Taitz by Jean Davison. Bookmark the permalink.